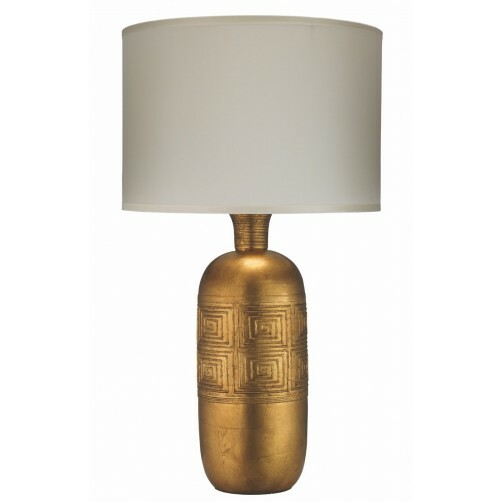 This exotic gold finish lamp makes a bold and decadent statement in any room. 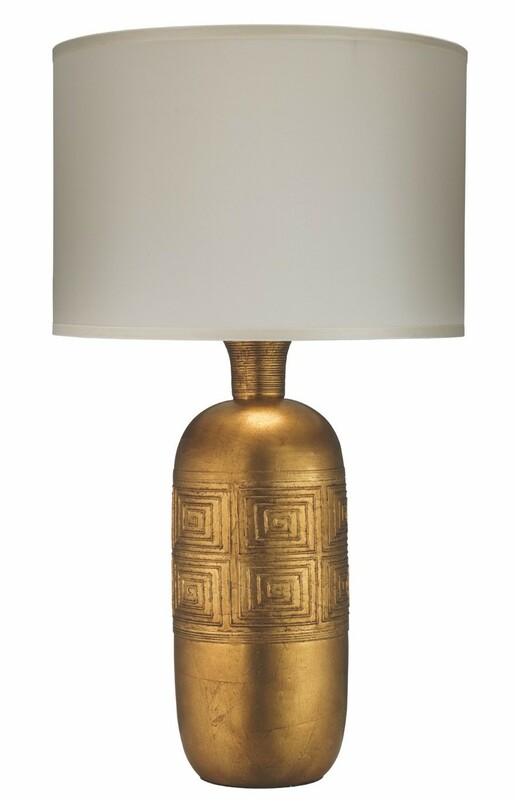 Adorned with carvings inspired by the Ancient Greeks, this table lamp exudes luxury and elegance. Topped with a cream silk classic drum shade.